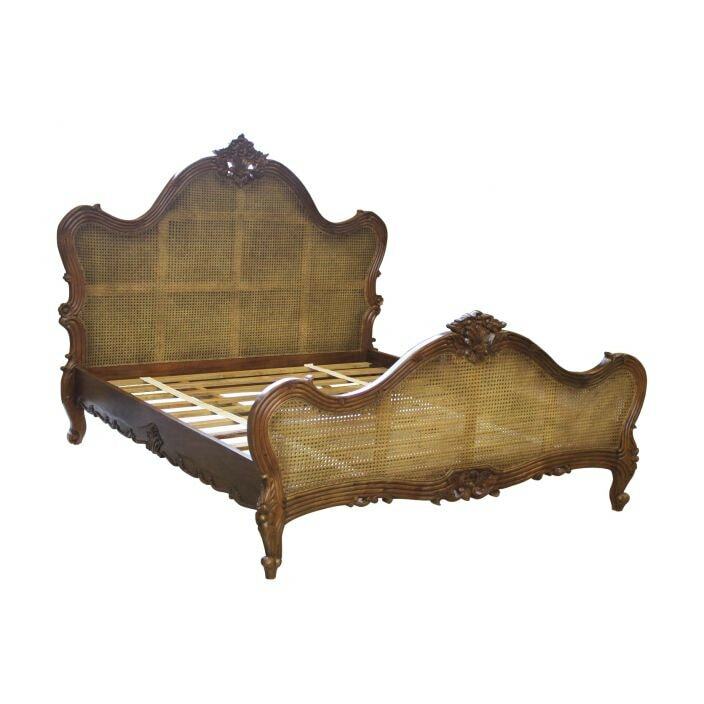 The antique French bed is beautiful and romantic piece, constructed from mahogany and rattan, this bed recaptures traditional provincial french design at its best. With it's delicate carving and cane, which is all created by hand to give you the ultimate hand carved bed. Working well co-ordinated with our marvelous shabby chic furniture or simply on it's own, this bed is sure to impress. This bed comes to you semi assembled to enable easy transportation, and is delivered complete with a slatted base.